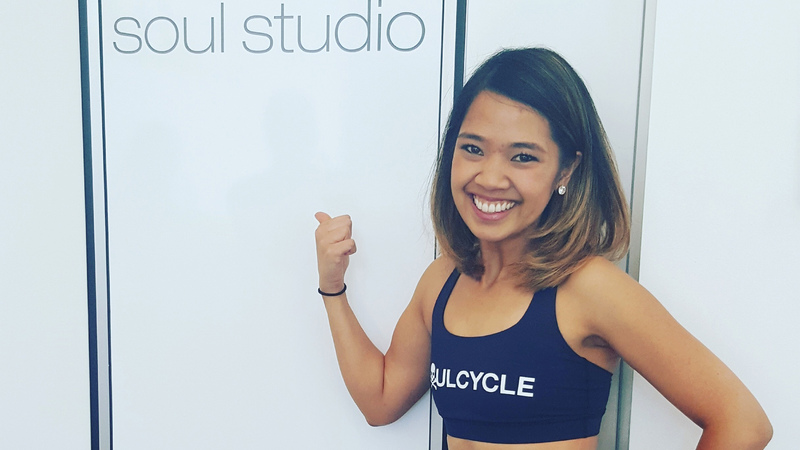 ellevue rider CES ESPIRITU JAVILLONAR found SoulCycle when she needed it most. Read on to see how the time on the bike changed her life. In one of the Hip-Hop Monday sessions I took with EVAN, he told us “One small step can change your life. The movement does not have to be huge to make an impact.” This inspired me to share my SOUL story. I had been curious about SoulCycle for some time after seeing it featured on so many websites, but I was hesitant to try it. I doubted that I had the strength and endurance to do something so intense. I get winded climbing stairs sometimes – no way I can complete a class like that! 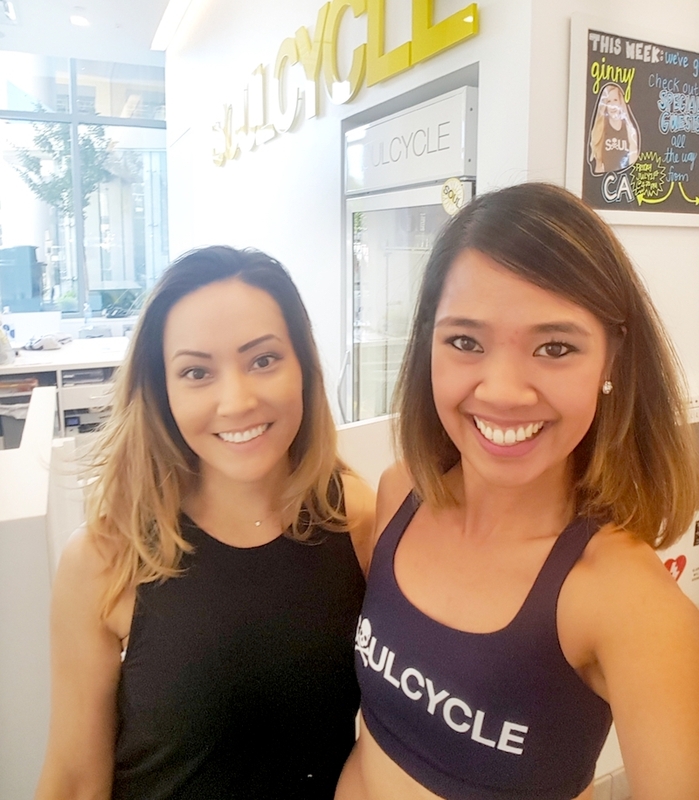 The day before the Fourth of July, I decided to come and see if SoulCycle was worth the hype. I signed up for KELSAY’s Party in the USA ride. I figured there would be way less people before a holiday, so as a rookie, I wouldn’t get too self-conscious. The first ride was a true struggle. I hadn’t ridden a bike since high school! I thought I would faint in class that day, but Kelsay was incredibly encouraging. Every time I wanted to give up, Kelsay and the music kept bringing me back. “If you need to sit on your saddle and pedal, that is completely okay. Do you.” She kept supporting us. Even though I struggled to keep up, I had so much fun. Aches and pains from doing something new were present after – but I felt amazing. It was like some energy sleeping inside me had been awakened. I was so excited to continue riding. I booked more classes that week. I even rode an early morning Rooster class with BRITT a week after I first started. I'm surprising even myself! I never would have thought I — someone who used to be very lazy with any physical activity — would be working out at 6am! And feeling pumped about it! These days when I listen to music, I imagine how we would SoulCycle to it. There's a lot of stories of SoulCycle changing people’s lives. After riding for three weeks, I can personally attest to how true this is. I am presently going through a difficult divorce. I constantly worry about how its aftermath will affect my 3-year-old daughter. I worry about how I am doing as a single mom and what our future will be as a family. The fears of how we will all come out of this hard chapter are always with me. On top of that, I am still figuring out who I am after being in a long-term relationship — what my goals are, where I want to be, what I want to do. However, in the SOUL studio, I feel so empowered and free. Every time I ride with the pack, I feel the positive energy from the instructors and other SoulCyclists. The encouragement from everyone helps me go beyond what I think my limitations are. I started to believe that I can overcome my perceived limitations. With each ride, I notice incremental improvements in my strength and endurance. It has made such a great difference for my morale. I know that this process of getting stronger, pushing myself to be better – this is helping me become the best person I can be for my daughter. And equally important, SoulCycle reminds me to be the best – not just for others, but for myself. It has taught me what I have forgotten: self-care and loving yourself are so vital for health and happiness. Discovering how transformative SoulCycle is could not have come at a better time for me. I recognize that this is a SOUL journey. Like everything that is worthwhile, it will not be easy. However, I know that I can continue improving. I am looking forward to the process — to the set-backs, the comebacks, the milestones, big and small. I cannot wait to celebrate all of them. And what I am even more excited about is sharing how my SOUL journey has helped me. If I can inspire someone who, like me, is experiencing heavy trials to try this for their SOUL, then it keeps being a gift to others. If people who are apprehensive about trying something new can see that a rookie like me can keep persevering and gaining little wins here and there, then maybe they can overcome their self-doubt and start their own journeys.